If you have any questions about the Blue Papillon information page below please contact us. 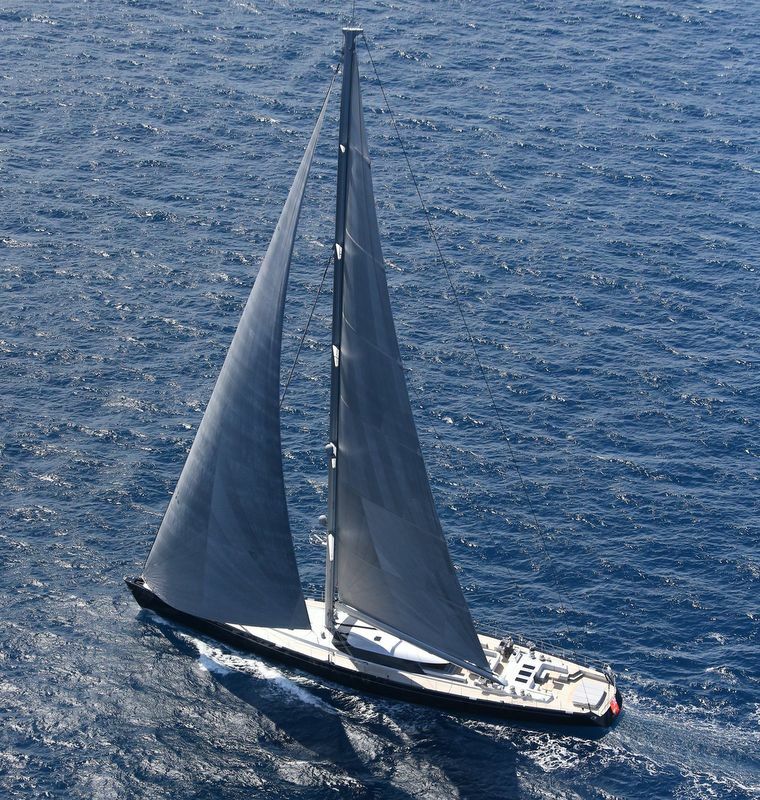 Sailing yacht Blue Papillon (hull 391) is a spectacular 43-metre 'beach deck' high performance sloop, constructed by the prestigious Dutch shipyard, Royal Huisman. 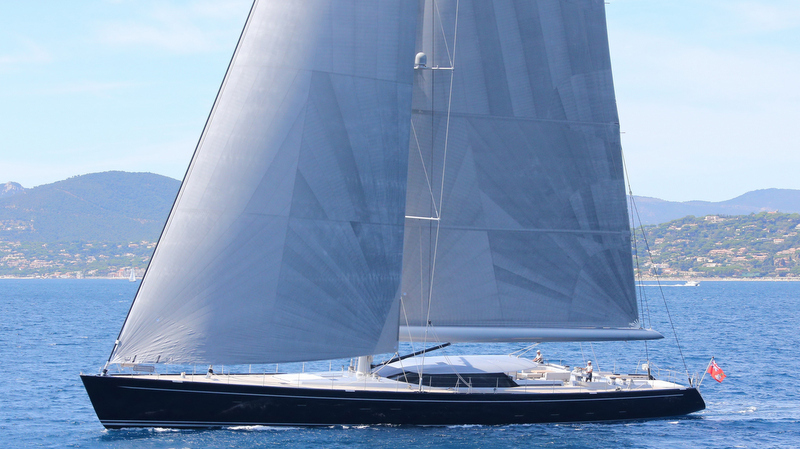 With naval architecture by German Frers, Blue Papillon superyacht's lovely interior design is by Rhoades Young. Her launch is in 2013. 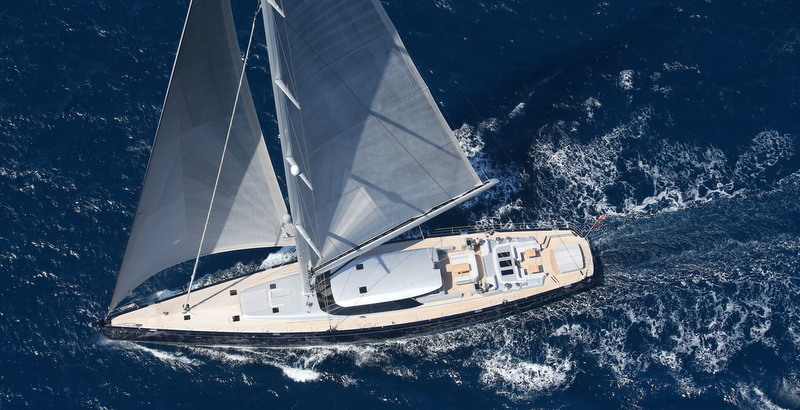 Royal Huisman superyacht Blue Papillon provides luxurious and comfortable accommodation in 4 magnificent cabins. In addition to the full-beam Owner's cabin, there is a VIP accommodation for six guests in total. Forward of the mast, there is a very large area dedicated to the comfortable crew quarters divided in three double cabins plus a double captain’s cabin, galley, laundry, together with the yacht's office forward. Blue Papillon yacht also boasts a highly innovative Beach Deck, offering an attractive and sheltered space for relaxation close to the sea. A 5,3m tender is stored out of sight beneath the expansive beach deck, while an additional 3,4m crew tender can be found beneath the foredeck. 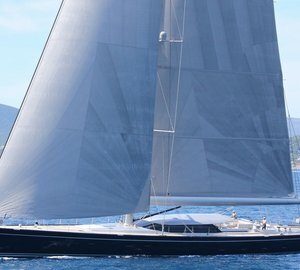 All-aluminium luxury yacht Blue Papillon features a beam of 8,98m (29'46'') and a draft of 4,5m (14'76''). She is Lloyd's registered as well as MCA compliant. A total number of 8 guests can find utmost in luxury aboard Blue Papillon yacht, offering 4 beautifully appointed cabins. These include the full-beam Owner's cabin, as well as a VIP accommodation for up to 6 guests. Luxury yacht Blue Papillon provides a 5,3-metre yacht tender that is situated out of sight beneath the beach deck. There is also a 3,4-metre crew tender beneath the foredeck. 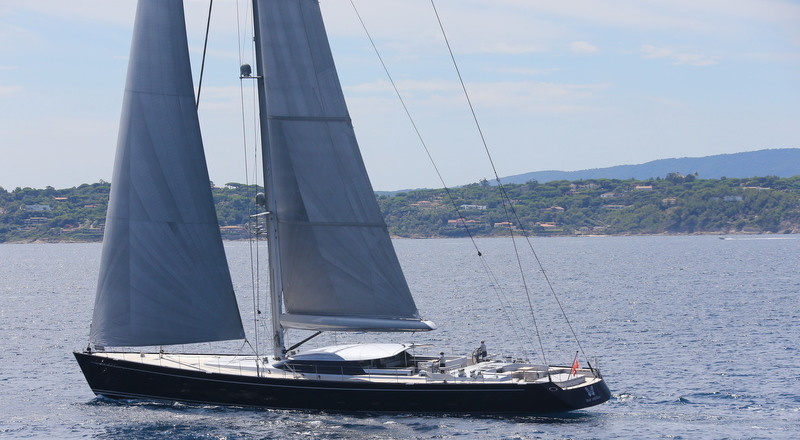 The luxury yacht Blue Papillon displayed on this page is merely informational and she is not necessarily available for yacht charter or for sale, nor is she represented or marketed in anyway by CharterWorld. This web page and the superyacht information contained herein is not contractual. All yacht specifications and informations are displayed in good faith but CharterWorld does not warrant or assume any legal liability or responsibility for the current accuracy, completeness, validity, or usefulness of any superyacht information and/or images displayed. All boat information is subject to change without prior notice and may not be current.